Due to my injured leg, I spent pretty much the whole weekend sat on the sofa. I was getting very bored & frustrated by Sunday afternoon, so decided that as the important thing about the long run of the week is getting used to being on your feet for a few hours, I'd try and achieve something, and although I couldn't run, I'd go for a 3hr walk. It turns out I'm a bit of an idiot. 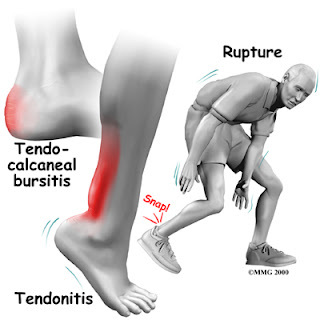 After doing a bit more online research, I've self-diagnosed my injury as Achilles Tendonitis. It's my own fault - after doing so little after my half marathon on 5th December, I launched myself into lots of running come January, and have made the rookie mistake of increasing my mileage too quickly. I thought that as I've been running a fair bit all year, it'd be fine...but clearly it wasn't, and then I ignored a niggling Achilles problem and carried on running, and now I'm limping when I walk and in pretty much constant pain. I should count myself lucky that it's not more serious - an Achilles rupture could have seen me out of action for months! I'm really concerned though about not being able to run and getting behind on my training plan. It can take a good couple of weeks to properly recover from this, and at the moment, it's just getting worse - although I appreciate that my walking stunt on Sunday didn't help. I've got my next half marathon in 6 weeks and had been really hoping to go for a PB...never mind trying to get my PB in the marathon in April which is my most important goal at the moment. However, I'm just going to have to accept that if I don't rest properly now, and push my training back a couple of weeks, it might stop me distance running completely....for ever.... If I let myself recover, maybe I'll not be able to run the next few races, but I will be able to run in six months time, which has to be much more important! 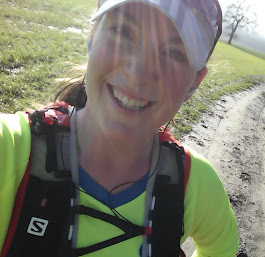 I've been hit by the big "I"
Do the gadgets really make me a better runner?